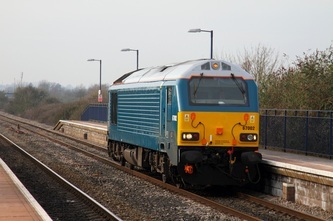 DB Schenker's EWS liveried 67025 'Western Star' powers the 1Z29 08:06 Kensington Olympia to Newport Private charter at Magor on the 9th February 2012. 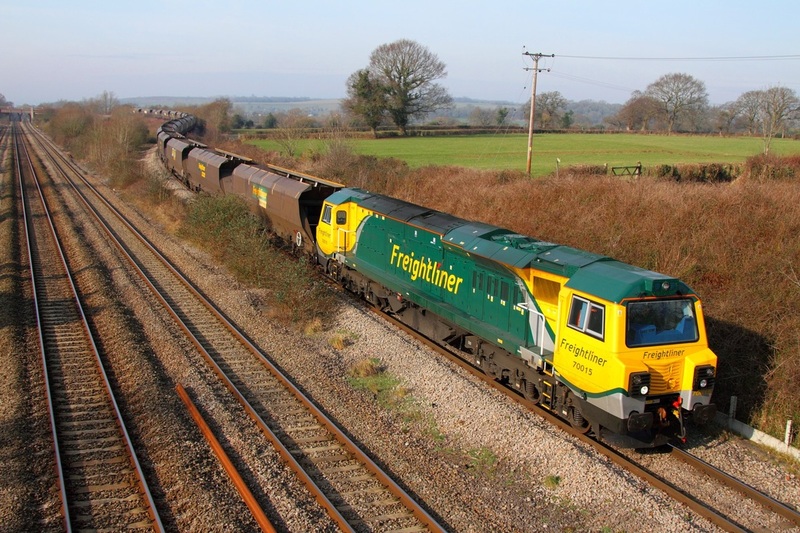 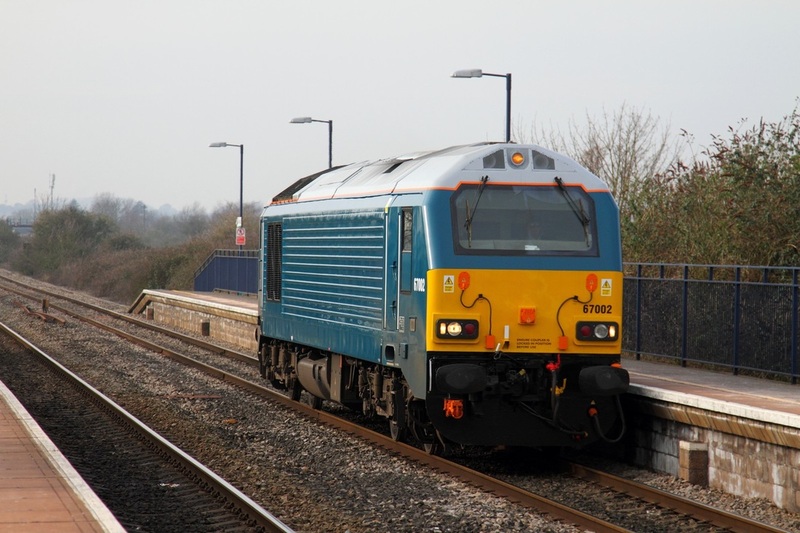 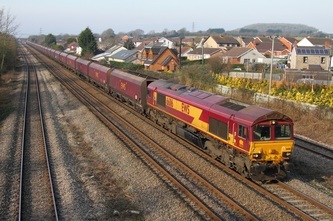 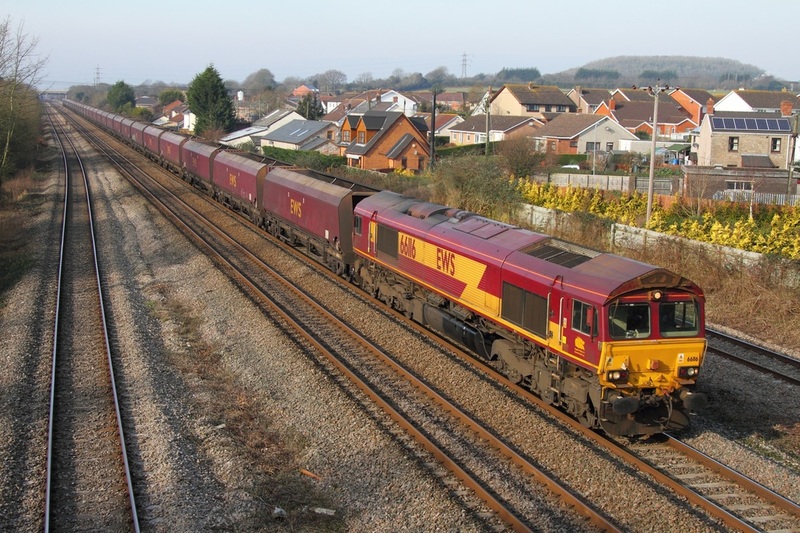 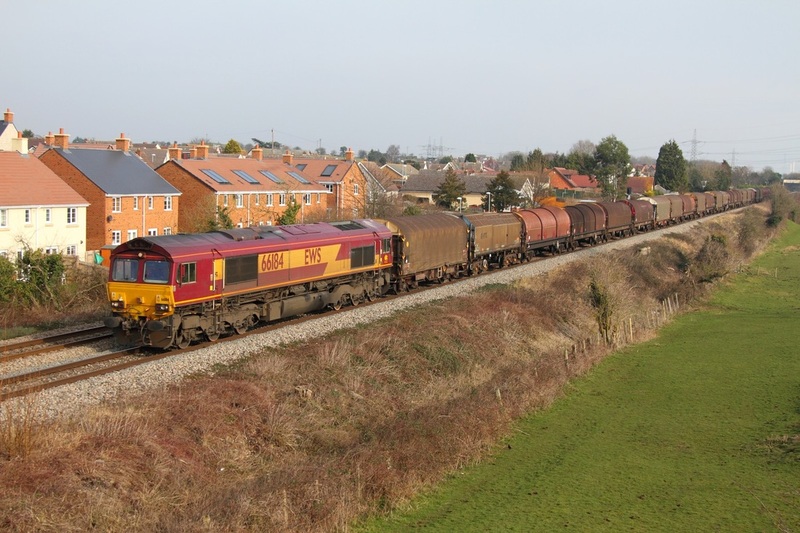 On the 9th February 2012, DB Schenker's EWS liveried 67025 worked a private charter from Kensington to Newport. 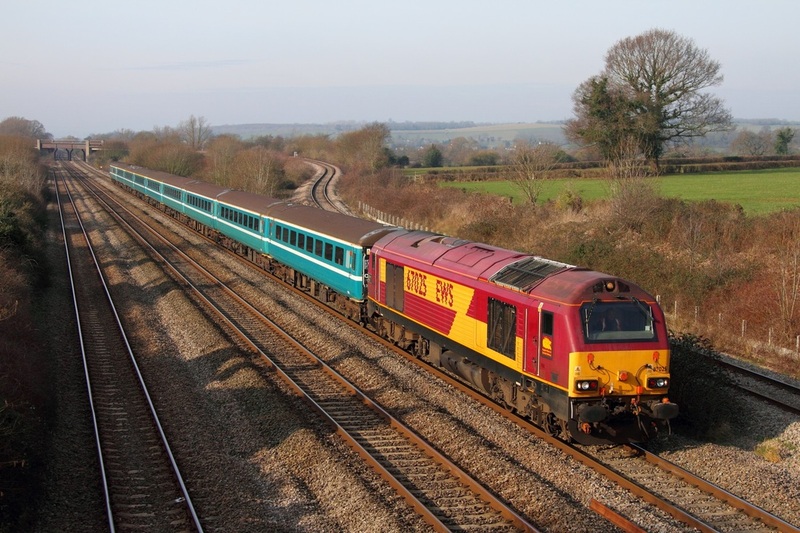 The 'skip' then hauled the 5Z29 11:10 Newport to Bristol Barton Hill ECS move consisting of Anglia liveried MK2s. 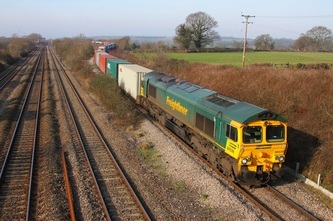 The 5Z29 consist hurries through Llandevenny. 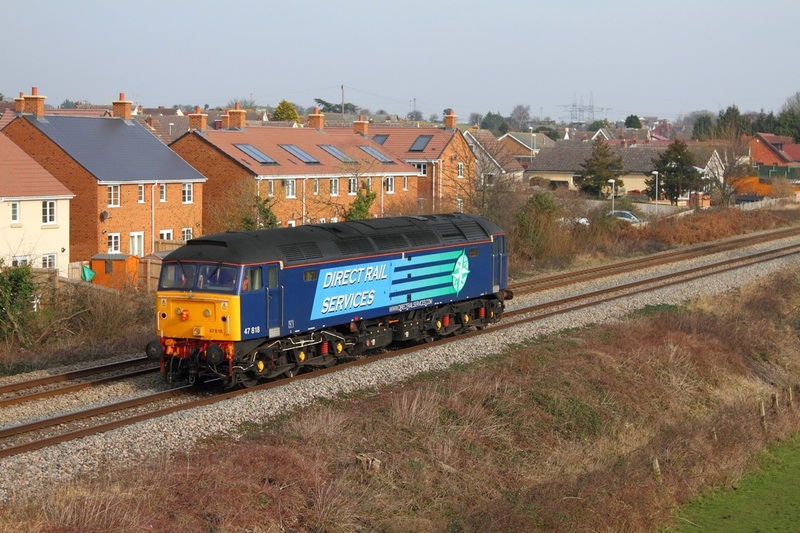 The '67' worked the 5Z30 09:36 Bristol Temple Meads to Newport and the 1Z30 11:10 return to Kensington the next day. 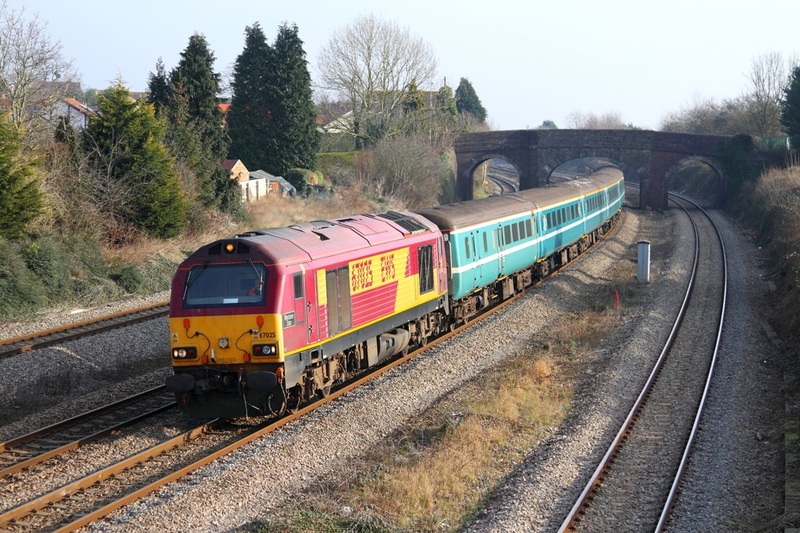 On the 9th February 2012, DRS 47818 passes Portskewett running light engine as the 0Z40 Crewe Gresty Bridge to Cardiff Central route learner. 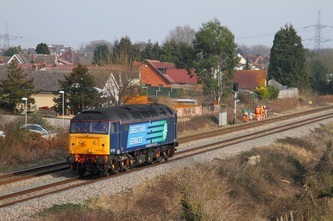 The route learning is for the start of the DRS operated Tesco contract from Daventry to Wentloog which is due to start running from the 21st February 2012. 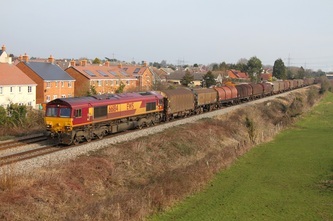 On the 9th Feburary 2012, Freightliner's 70015 powers the 4F56 Uskmouth to Stoke Gifford empty Freightliner coal hoppers over the Bishton Flyover, Llandevenny.